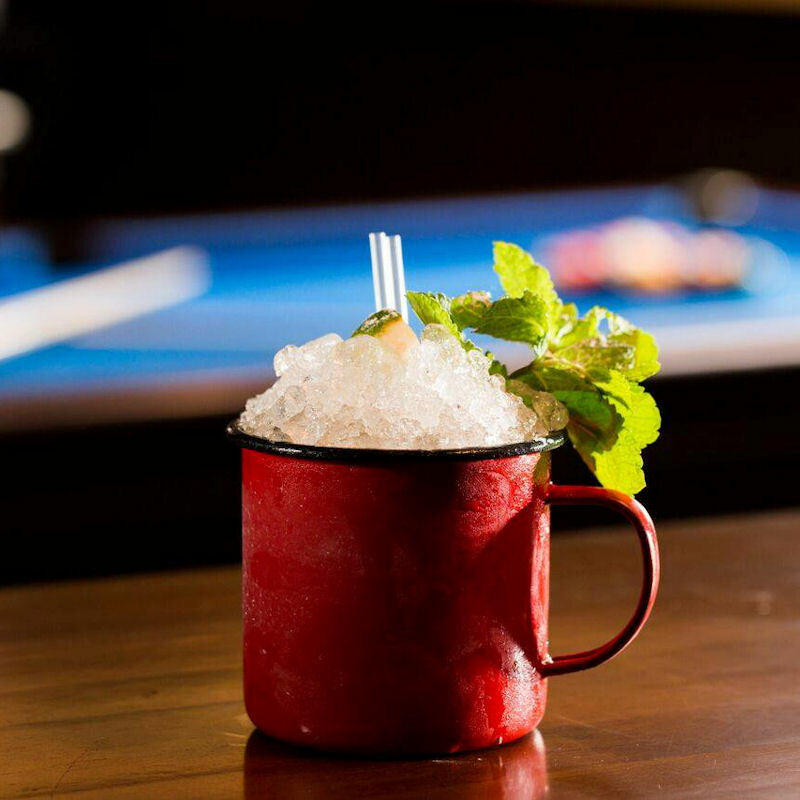 Brickhouse Social, is located on New Wakefield Street in the burgeoning Oxford Road Corner area of the city. 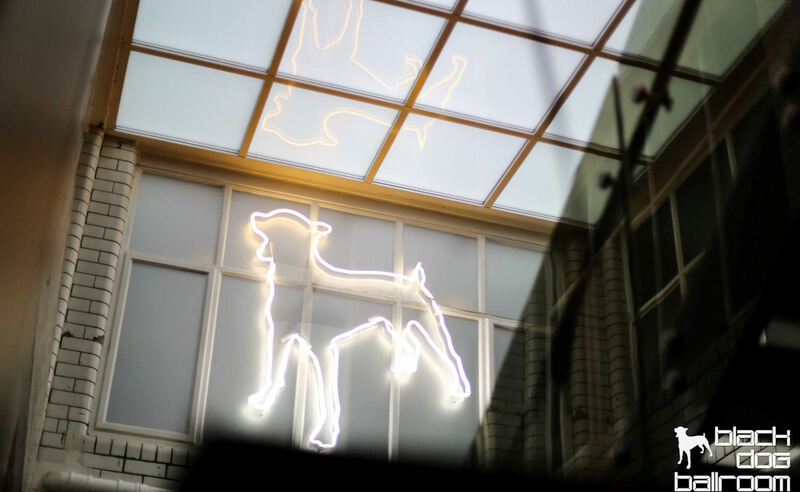 The three floor New York Style speakeasy, diner, pool room, roof terrace, BBQ and basement night club, Underdog, also boasts a private members' Ballroom with an additional pool table and a karaoke booth. A slice of New York’s downtown speakeasy style in the heart of Manchester, the bar is the perfect venue for laid back brunches, impromptu cocktail hours and bustling late night discos whilst the roof terrace, complete with permanent BBQ, is the ideal escape from the gloomy streets below. 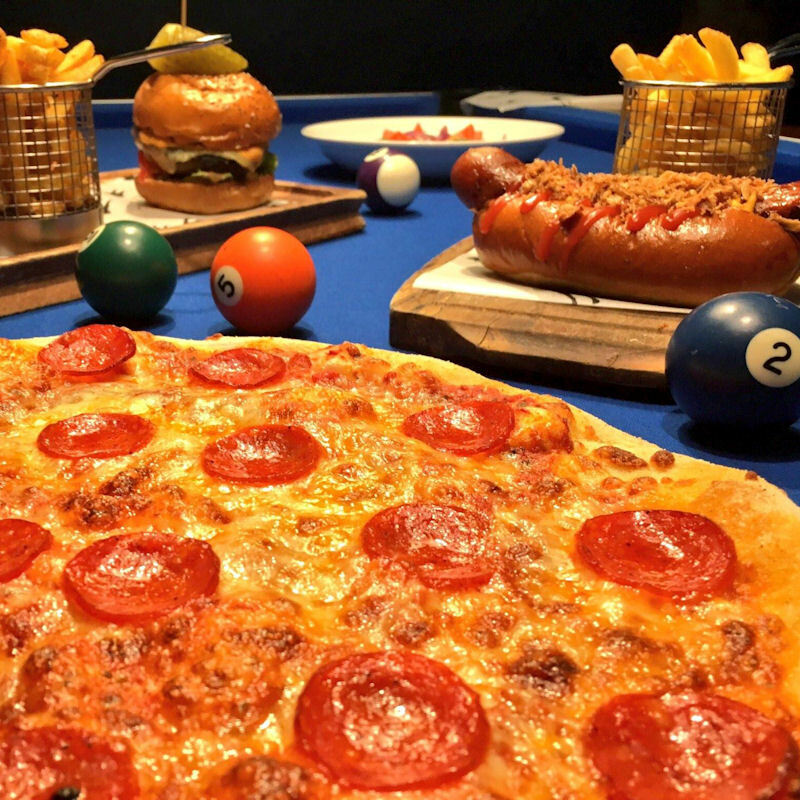 At the Brickhouse Social you'll find four pool tables perfect for a quick game after work or at lunchtime, or why not book all four for a tournament – perfect for settling scores with friends or work colleagues. 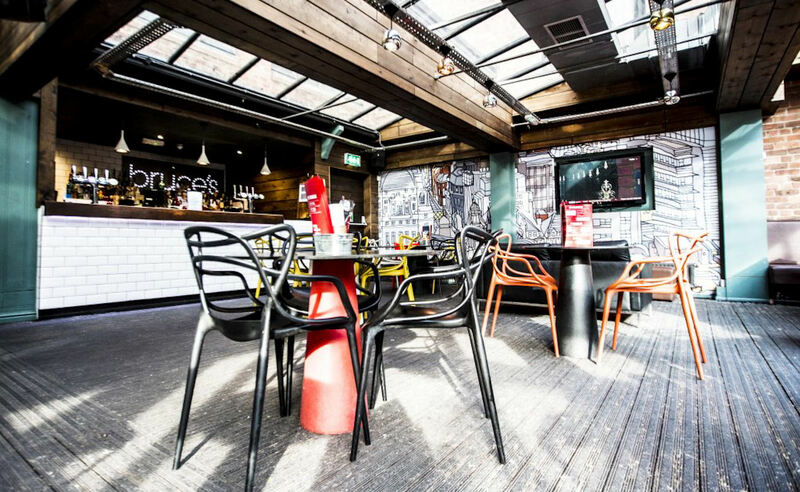 Complete cocktail bar, a permanent BBQ and HD projector screen, the roof terrace at Brickhouse Social is the perfect place to enjoy the sun, which does shine in Manchester from time to time! When it is raining, the terrace is covered to protect you from the elements. All domestic, European and international football matches broadcast on Sky Sports and BT Sport will be shown live on the HD projection screen and HD TV! Free pizza slices are given out at half time too! The cocktail menu has been created by celebrated mixologist, Massimo Zitti. Cool, charming, and charismatic, as you’d expect, it’s full of sophisticated and invigorating flavours, guaranteed to excite even the pickiest of palates, whether you’re out for the night or just fancy a relaxed few after work drinks. 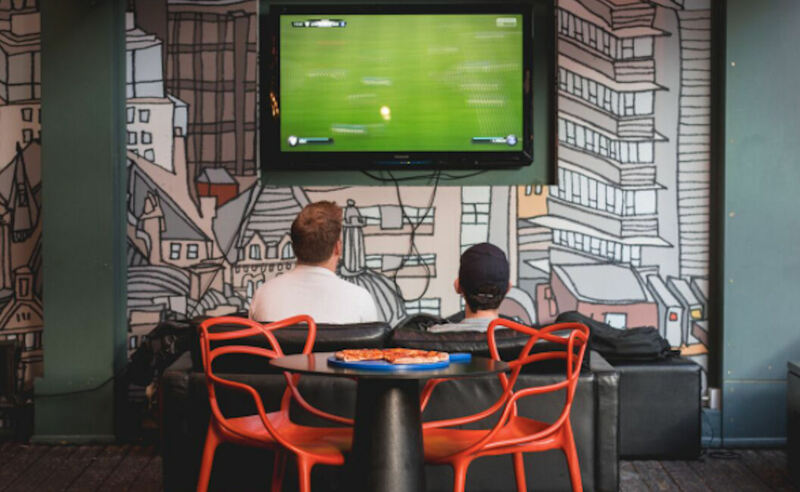 The food menu at Brickhouse Social is served from 12pm until 10pm daily, with pizzas available ‘til 1am! Brickhouse Social use great quality, individually selected local ingredients to make a popular variety of meals. 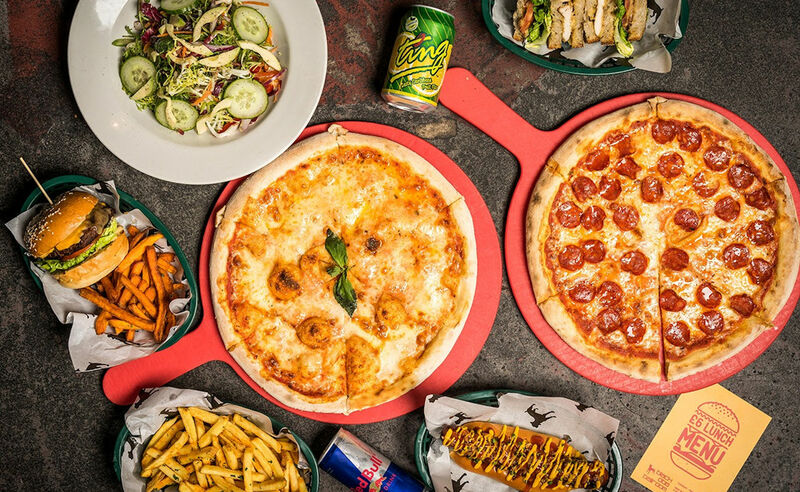 The collection of pizzas, burgers, hot dogs, wings, salads and sharers follow the New York style of the bar, but with some original twists. Feeling really hungry? Try the Brickhouse Social Bad Boy burger – double burger, black sticks blue cheese, smoked bacon, nduja sausage & burger sauce stacked high on a delicious sesame seed brioche bun! The venue now offers Sunday Roasts! Choose from roast striploin of beef (£11.95) or roast belly pork with crackling (£9.95). Both come with all the trimmings, check it out here. Brickhouse Social also offers a delicious brunch menu complete with everything from the classic Full English, Eggs Benedict with avocado, salmon or smoked ham, American Pancakes or Chicken & Bacon Waffles! Both the brunch menu and the Sunday Roast. The secret pin protected private members' Ballroom is the ideal hideaway from the main bar’s weekend hustle. 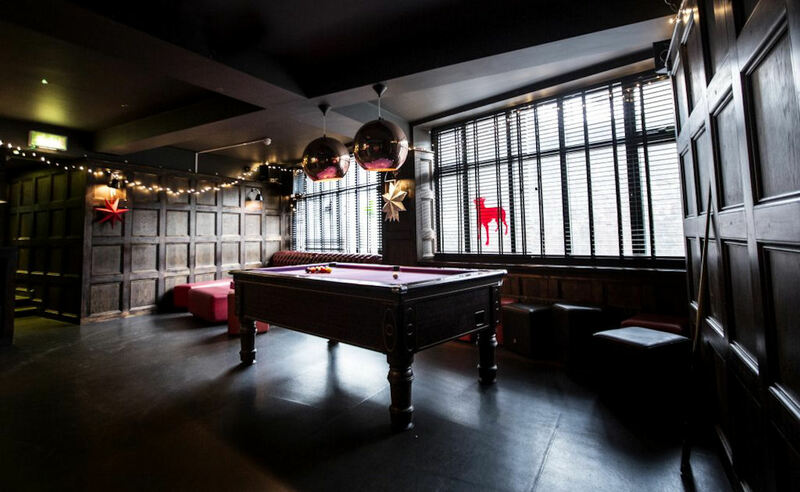 With free pool, a specially created cocktail list, HD projector & DJ facilities it is Oxford Road’s best kept secret. The Ballroom holds up to 80 people and is available for private hire. A state of the art, fully furnished Karaoke booth is tucked away next to the Ballroom for any revellers wanting to howl the night away to their hearts content. It’s perfect for parties of 30+, and is also available during the day for meetings and conferences. 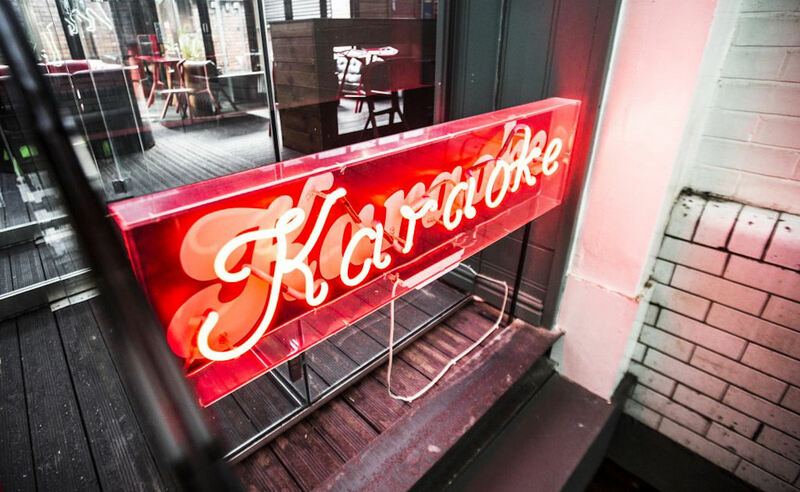 The bespoke karaoke booth at Brickhouse Social holds up to 20 people and is available for those who want to ruin their favourite songs, or for guests booking the private members ballroom. For more information or bookings call 0161 233 4033. 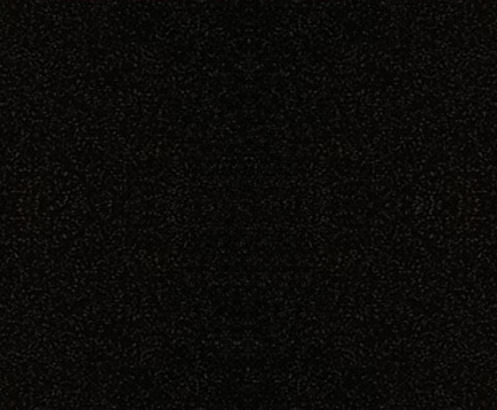 Underdog is an underground events space. 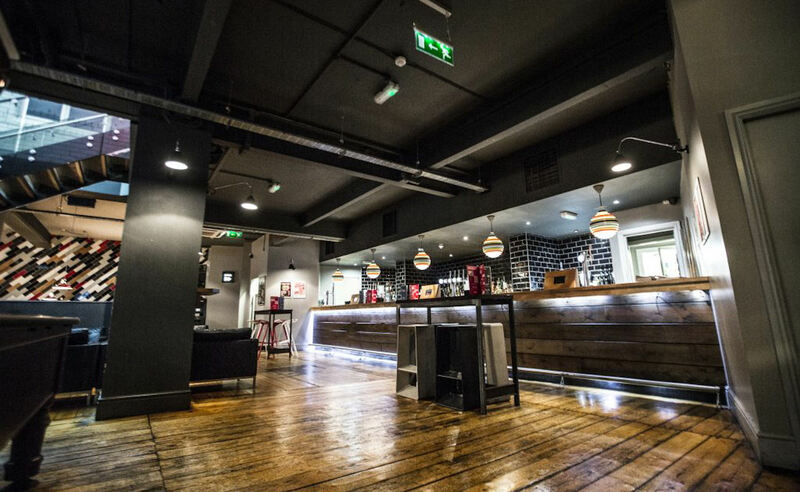 The 350 capacity, late night venue is a hidden gem on New Wakefield Street, underneath Brickhouse Social. 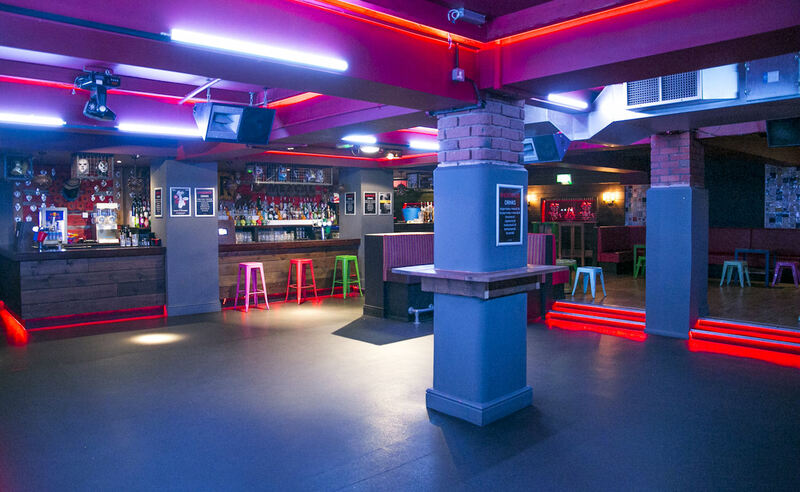 The venue hosts some of the UKs best specially selected events. Previous guests include Sigma, Alexander Nut, Josey Rebelle, Solardo, Robert Owens, Late Night Tuff Guy, Patrick Topping, wAFF and many more. Underdog is powered by a Full Funktion-One sound system and features a high spec lighting system. 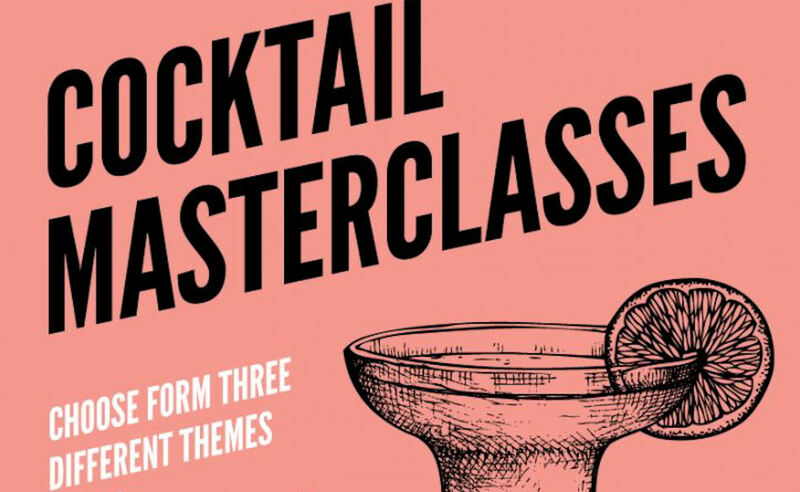 Brickhouse Social bar team have designed a new series of themed cocktail masterclasses. 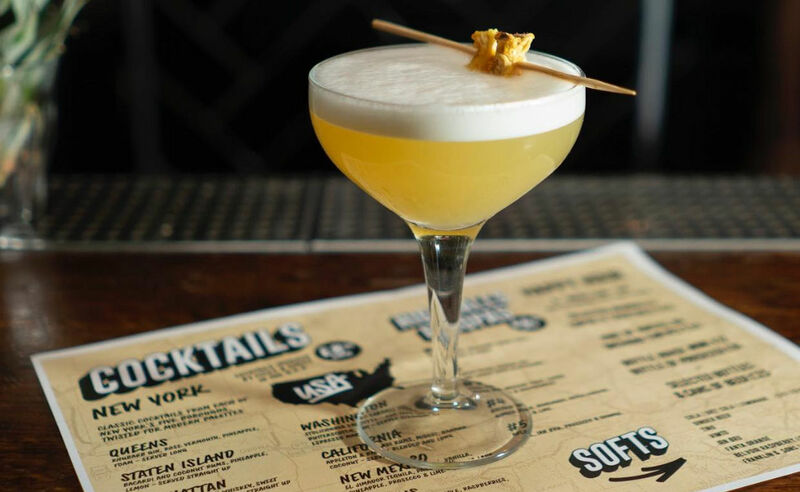 Manchester’s cocktail lovers can pick from the three packages on offer: the Mexican-inspired ‘Poco Loco’ package, the New York disco style ‘Studio 54’, or the prohibition-themed ‘Boardwalk’ option. Taking its inspiration from the passion and energy of Mexico, the ‘Poco Loco’ option offers a fun-filled masterclass, guaranteed to give customers a taste of the sun, as well as a feel of it… expect fire! Guests can enjoy classic South American-style cocktails including the Hurricane, Frozen Margarita, and Tequila Sunrise. The Studio 54 package on the other hand, is the embodiment of its namesake club in cocktail masterclass form. This option is perfect for tipplers who love the New York disco scene. Cocktails will be focused around popular drinks of the time such as a Manhattan, New York Sour or Long Island Ice Tea. Classic cocktail lovers who wish they had lived in the prohibition era, are advised to opt for ‘The Boardwalk’ package which reflects the secret speakeasy concept within the Brickhouse Social venue. Guests will have the chance to learn about the origins of classic drinks such as the Sazerac, Mary Pickford, Bellini and Bloody Mary whilst sipping on some of their own creations. At £25 per person the classes are perfect for hen and stag parties, quirky dates or special birthday celebrations. Classes can accommodate parties of 4 to 20 people. "Cocktail Masterclass as seen on ManchesterBars.com"
Why limit Happy Hour to and Hour? 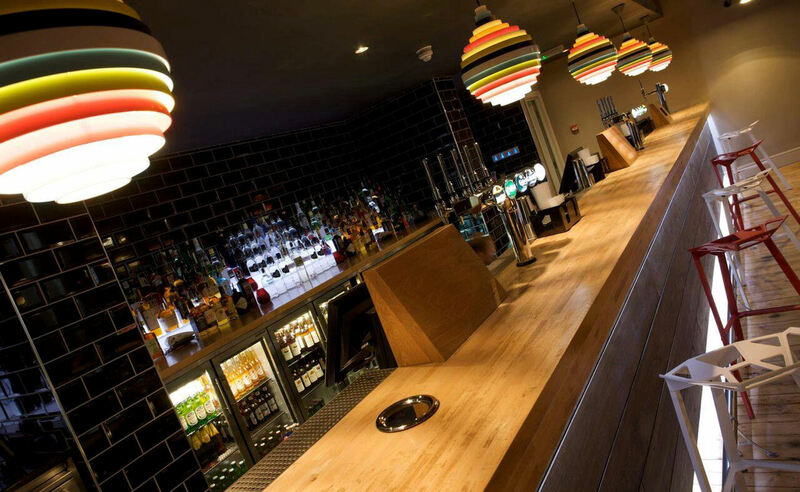 Visit Brickhouse Social for a 4 Hour, Happy Hour with selected cocktails just £4, Pints of Beer & Cider for £3, Selected Beer Bottles £3 each, Bottles of house wine only £10 and Jagerbombs for £2.50. 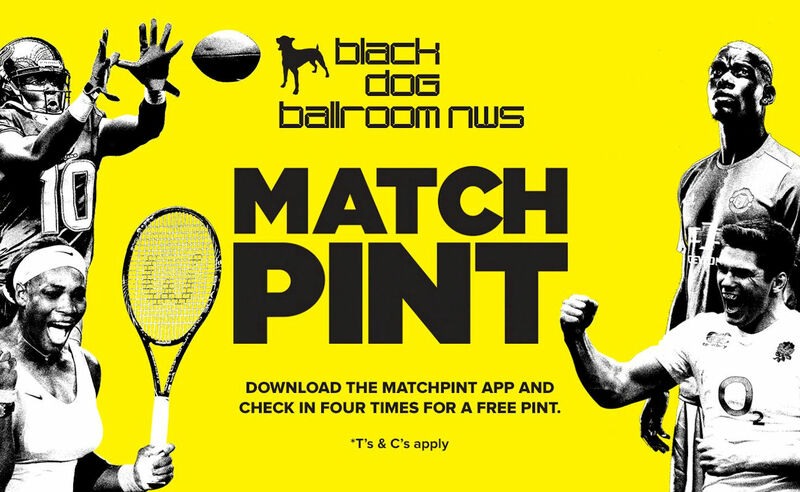 The team at Brickhouse Social will be giving away a free pint to MatchPint app users – to redeem the free drink, simply check in at Brickhouse Social four times on the app. You can now grab yourself a quick bite to eat for just £6 at Brickhouse Social! 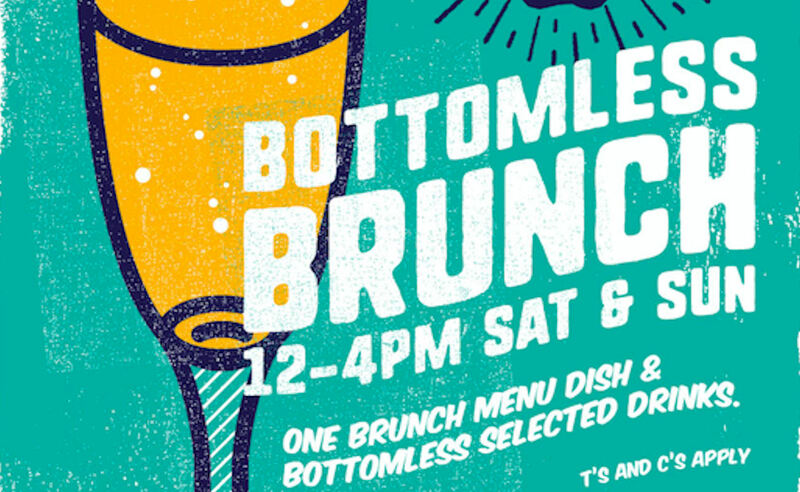 All of the Manchester ravers out there will be able to keep the party going all weekend by heading straight to Brickhouse Social to enjoy bottomless boozy brunch. Simply buy an item from the brand new brunch menu, and receive unlimited Prosecco, Bloody Marys, Mimosas, selected lagers, small glasses of house wine, tea, coffee and soft drinks for just £25. 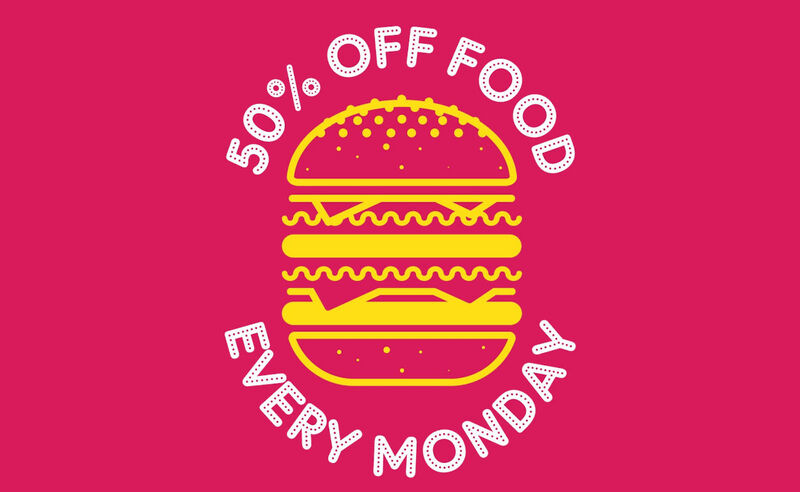 Enjoy 50% off food, every Monday, at Blackdog Ballroom NWS. We all know Tuesday is the worst day ever, so make Bluesday …TWOSDAY. All day at Brickhouse Social, standard pizzas are all buy-one-get-one-absolutely-free. 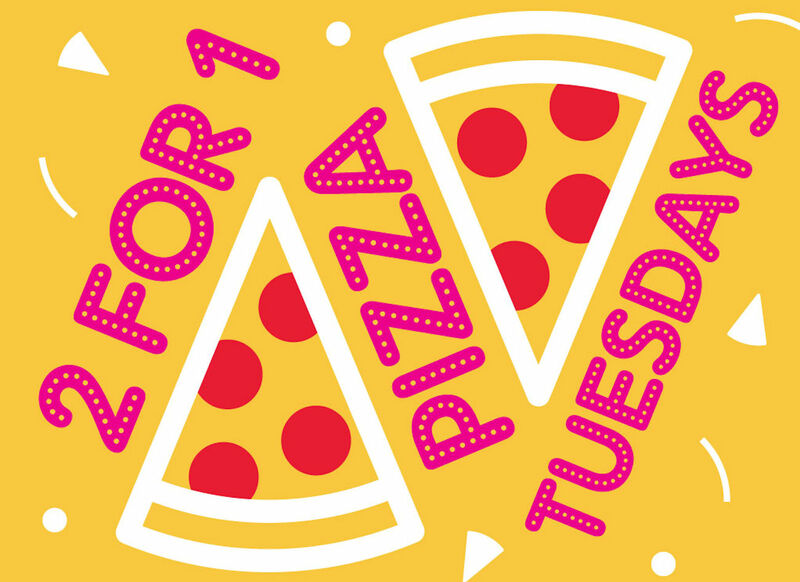 So prepare yourself for hump day in perfect fashion and save half your cash or just eat twice as much! "Twosday as seen on ManchesterBars.com"
Enjoy a free game of pool with any drink purchased when you ask at the bar. 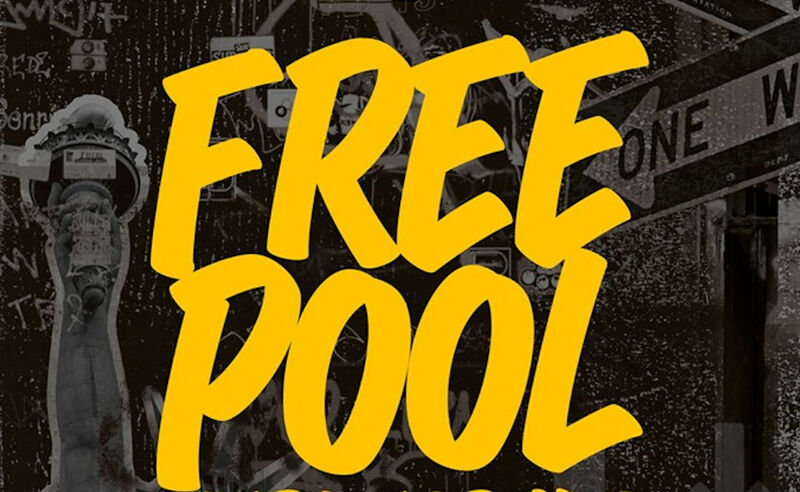 All Wednesday when you quote "Free Pool as seen on ManchesterBars.com"
Are you a chicken or a champ?! 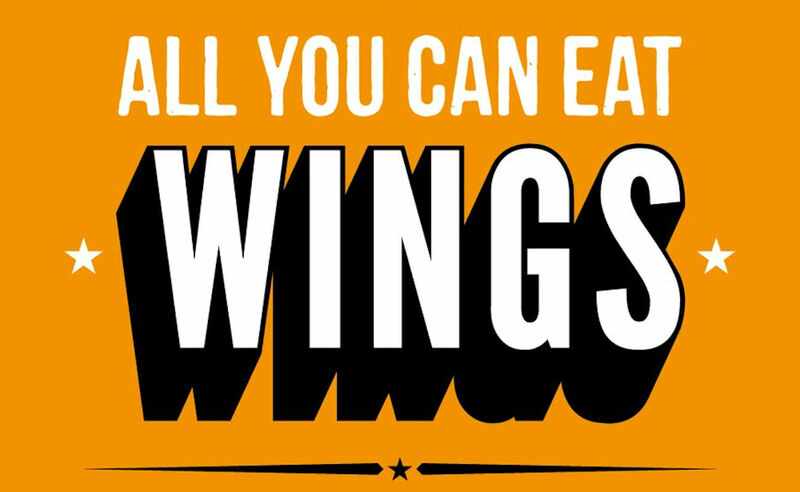 Every Wednesday at Brickhouse Social you can now get unlimited wings for just £10 per person! This offer will be available 12pm-11pm so you can take advantage of this wingcredible deal for lunch, dinner or supper. 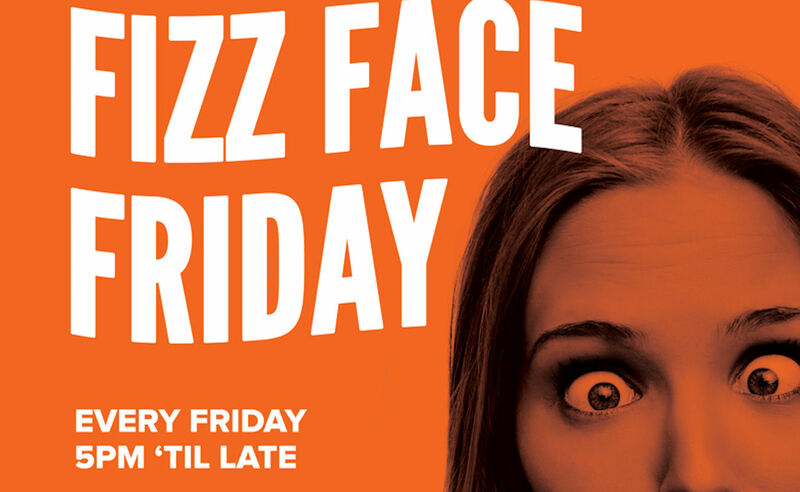 Fizz Face Friday takes place every Friday from 5pm, till late. Bottles of Prosecco are £12, or £3 for a glass, whilst bottles of Mumm Champagne are just £30, or £6 for a glass. There's also selected cocktails for £4. 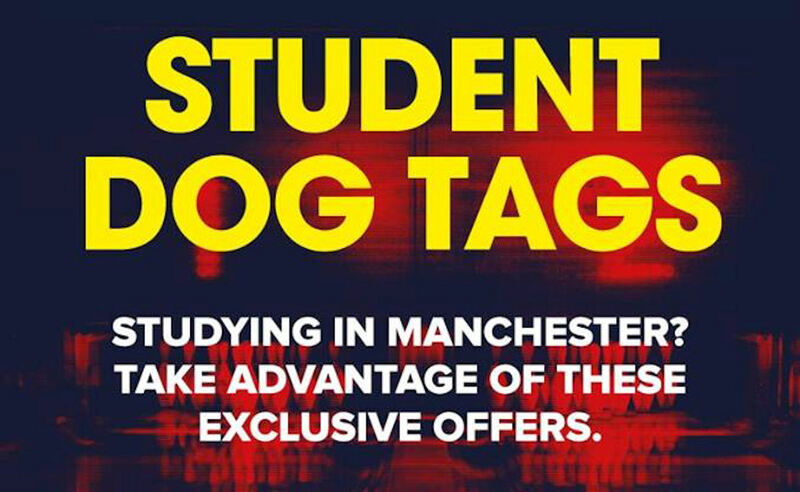 Visit Brickhouse Social with your valid student ID and ask for a "Dog Tag as seen on ManchesterBars.com"